Birmingham. Every Baby Boomer growing up in Birmingham was taught in elementary school that Birmingham is the only place in the world where iron ore, coal, and limestone – the three essential raw materials used to manufacture steel – can be found in such close proximity. Every local schoolboy of that generation knew that Birmingham was not in existence during the Civil War and that this unique confluence of natural resources had led to its founding as the first major industrial center of the post-war South in 1871. The steel industry was still what drove Birmingham when I was a boy and both of my grandfathers worked in Birmingham factories – one at U.S. Steel and one at Butler Manufacturing. I remember standing on the observation deck at Vulcan, Birmingham’s “Iron Man” statue overlooking the city, and watching with awe as the night sky turned bright orange as molten iron was poured at steel manufacturing locations in the western section, in north Birmingham, and at the Sloss Furnaces just east of downtown. For a young boy, the sight of such robust heavy industry was thrilling. Vulcan now overlooks a city in which heavy industry is less prominent than healthcare and finance; Sloss Furnaces closed down in 1970 and was designated as a National Historical Landmark in 1981. The remains of the structures of U.S. Steel’s Ensley works loom over what is now a desolate landscape. I still look for ruins and remnants of the once vibrant industrial landscape as I drive around the area. 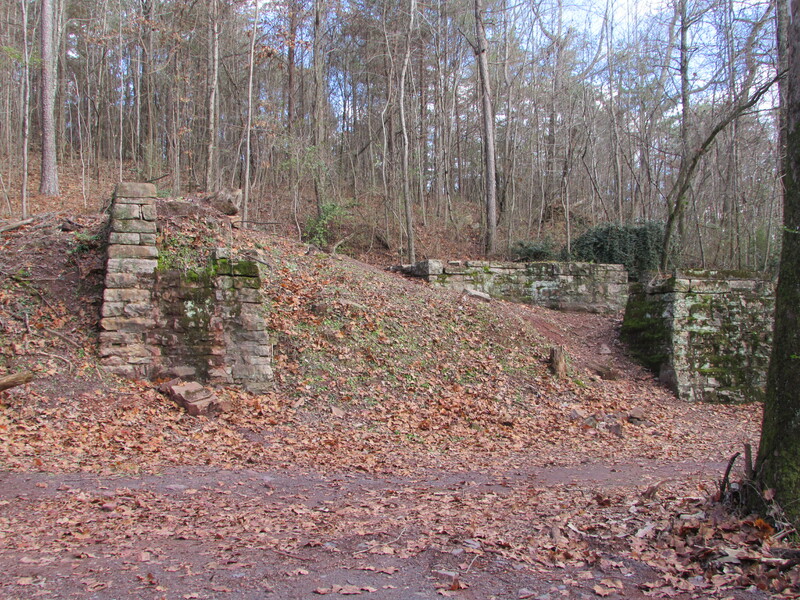 In 2007, as a result of the efforts of Freshwater Land Trust and dedicated citizens, ownership of 1200 acres of U.S. Steel-owned land on Birmingham’s Red Mountain was transferred and development began on Red Mountain Park (www.redmountainpark.org), an urban greenspace which now comprises over 1500 acres and twelve miles of trails. There are also an adventure area, zip lines, an 80-foot repelling tower, a dog park, and overlooks in the current development of the eastern Phase 1 of the park. 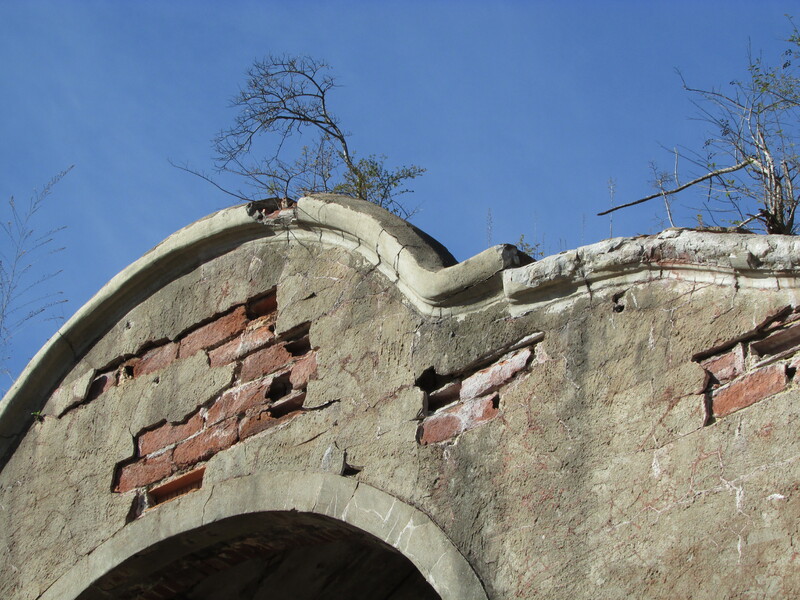 At the overlooks, the hiker is afforded views of the city which have been unavailable for half a century. The Phase 2 western development, scheduled for completion in 2016, will include more trails and features. Red Mountain Park has become my favorite place to hike. The layout of the trails enables one to do a quick and easy hike or a more rigorous and challenging one, such as the Ike Maston Trail, or to mix and match. The land, once active with railroad and mining activity from the 1860s to 1962, has reverted now to mostly wilderness. A large appeal for me, though, is in the ruins of the industrial sites like mine entrances and shaft mines that pepper the site. 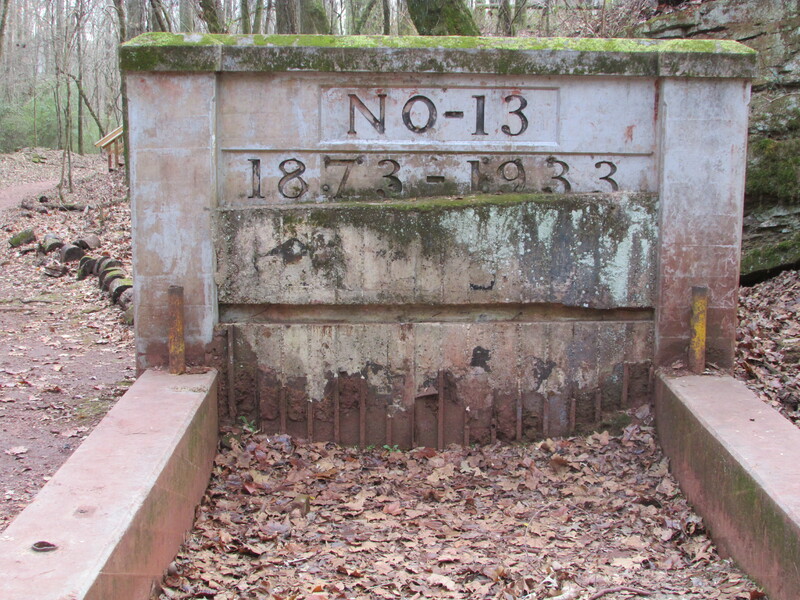 One is walking in the woods and then there are the tightly secured masonry entrances to Ishkooda #13 or #14 mines, or the Redding Shaft Mine farther west. Encountering these ruins, it isn’t difficult to imagine the bustle of activity which once occurred in what is now such a serene and natural environment. One walks just a few feet away from these sites and is again immersed in total wilderness. It is as if the ruins are ghosts that appeared and then are gone. They are. 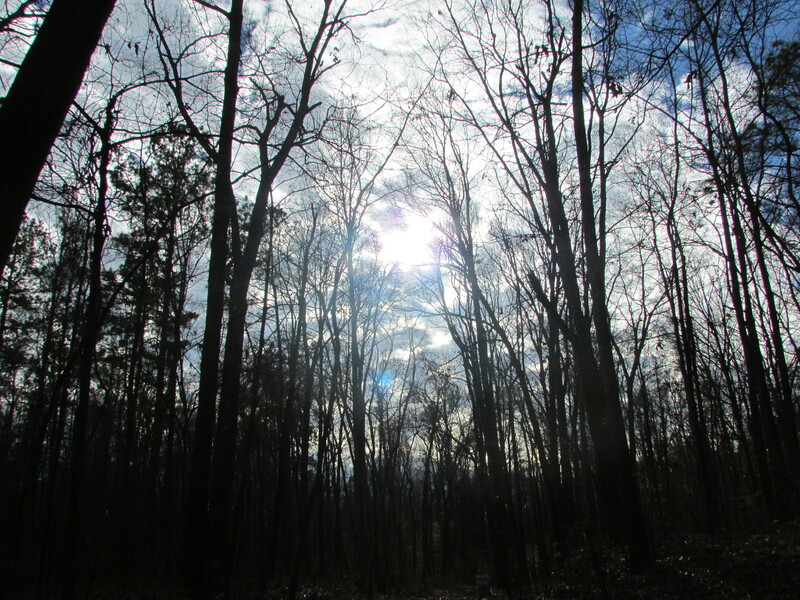 I try to hike Red Mountain Park whenever I am in Birmingham for more than a day or two. It is a potent symbol of urban progress and commitment to the environment built on the relics of the progress of an earlier era. 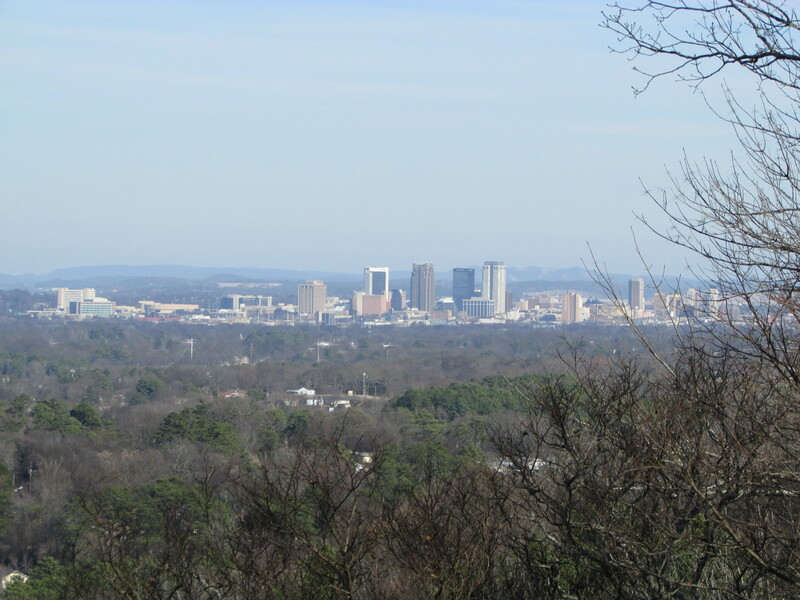 This entry was posted in Alabama, history, Red Mountain Park and tagged Alabama, Birmingham, hiking, Red Mountain Park, the south on December 28, 2014 by gedwardjourney.